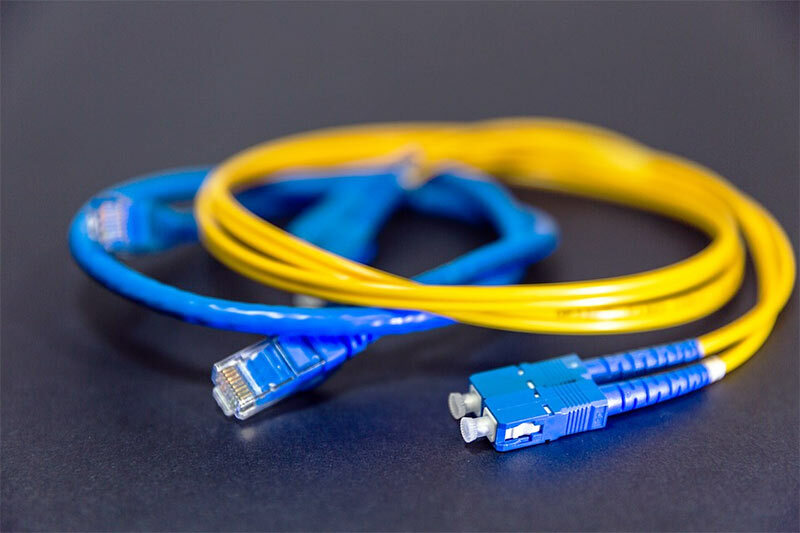 Fiber optic connectors are inexpensive pieces of equipment, and are easy to maintain. Cleaning these equipment is absolutely essential for their proper operation. This ensures that they don’t fail when you need them most as part of an integrated network comprising of hardware like optical transceiver modules and media converters. Studies indicate that just a micrometer of dust can block up to 1% of light and cause of loss of 0.05 dB to the signals sent through the single-mode fiber. A fiber core is about 9-micrometer in size, which is very small indeed. That’s why you need to use special techniques to clean fiber optic connectors. Let’s discuss how. Dry Cleaning – This is the easiest cleaning method which does not require the use of solvents. Wet Cleaning – In this method, solvent like isopropyl alcohol are used. Non-Abrasive Cleaning – In this cleaning technique, one makes use of non- abrasive materials to clean the end face of the fiber optic connector. Examples of non-abrasive cleaners are pressured solvent jets and air dusters. Abrasive Cleaning – This technique involves the use of abrasive cleaners such as lint-free wipes or Cletop sticks. To start with, inspect the connectors or adapters to make sure they are in order. Use a connector housing for unplugging or plugging the fiber. Get rid of any laser sources before starting the inspection and only then clean the fiber connectors. Just disconnect the cable from both ends. For this, you will need to unplug the receiver from the chassis. Place any protective caps in a suitable connector. This ensures that there is no collection of dust into the fiber. Get rid of any used swabs or tissues. Use a dry cleaning method to clean the fiber optic connectors. In case there is any dirt or dust in the connector is dirty, repeat the dry cleaning method. Examine the connector closely. Use a wet cleaning technique to clean the connector in case it still has any sort of dirt. Examine the connector once again. Just repeat the steps above, till the connector has been cleaned. The problem with the cleaning methods as described above is that it could leave behind a residue on the end-face of the connector. Here are some mistakes to avoid as much as possible. Don’t touch any of the equipment that have not been grounded. Don’t connect the end-face of the connectors. Don’t pull or twist the fiber optic cable. Don’t connect the cable to the fiberscope when the lasers are on. Make sure not to touch the cleaned surface with a tissue or cleaning fabric. Don’t reuse the swabs or tissues. Don’t use alcohol anywhere close to the spark. Don’t touch the swab or tissue. In case you have resealable connectors, make sure that the endcaps are stored in separate containers where you have all the cleaning equipment. The interiors of the connectors should be free from dirt and as clean as possible. Make sure that the lid is cleaned shut to prevent any form of contamination. The cleaning alcohol should not be allowed to evaporate from the connector as that could damage the fiber core.